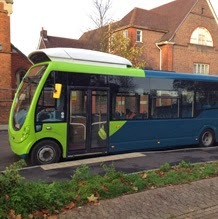 Bus drivers in Milton Keynes will get their first chance behind the wheel of an electric bus. An eight-strong fleet of electric StreetLite buses is being delivered to the borough to replace the fleet of diesel buses operating on the demanding Route 7. 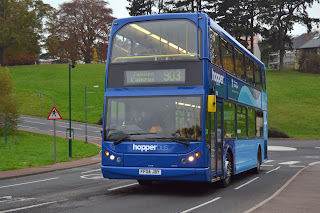 The training for Arriva bus drivers will cover not only how to drive the vehicle, but also how to recharge at each end of the route, and how to maximize the battery’s performance. 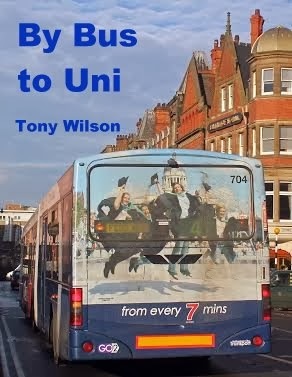 In January 2014, the new buses will make their debut on the 15-mile long Route 7, which runs between Wolverton and Bletchley. The wirelessly-charged buses have been developed and built by Wrightbus Limited, a leading British bus manufacturer. The buses will be trialled in a collaboration programme being led by eFleet Integrated Service (“eFIS”), an enabling company set up by Mitsui & Co Europe and Arup. eFIS is working with Milton Keynes Borough Council, WrightBus, Arriva and a range of other collaborators. 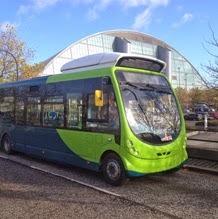 Final testing and driver training takes place in Milton Keynes before the buses officially begin carrying passengers. 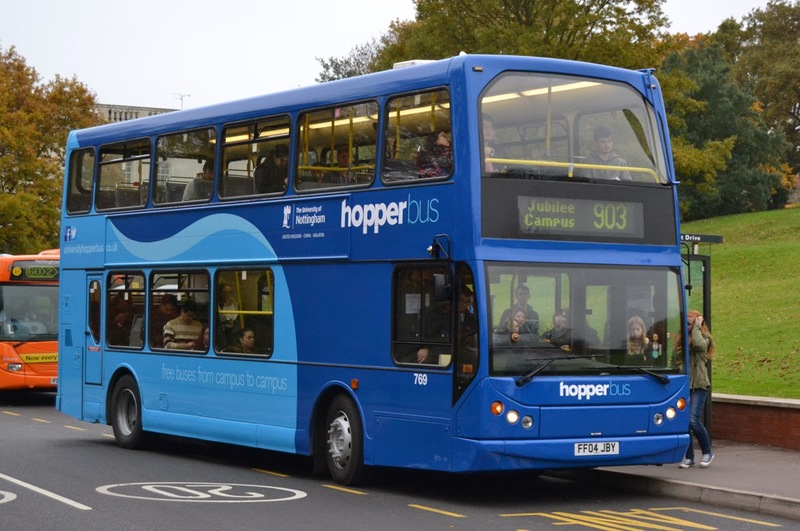 This innovative electric bus trial aims to prove that electric vehicles have the potential to be cost-efficient as well as environmentally friendly. The electric buses go on the road in January 2014. 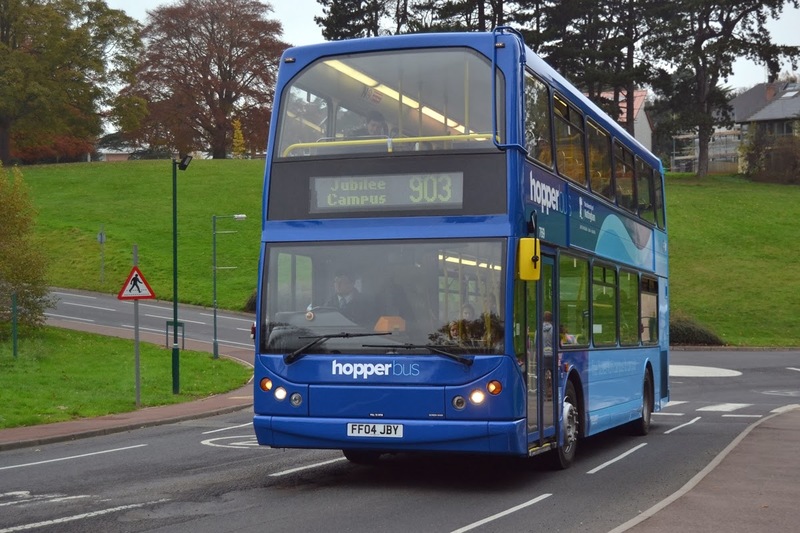 In the meantime, bus operator Arriva is running a training programme to acclimatise drivers to the new technology, which includes the ability to recharge the batteries wirelessly. Allied to this is the acquisition by Nottingham City Transport of a small fleet of Dennis Tridents from the Isle of Man. These buses such as number 769 (above) have been acquired specifically for use on dedicated services for the University of Nottingham. The two images above supplied by John Moore.